For the regular readers of my blog, it’s no surprise to you that I am a Digital Zealot. I consume a massive amount of content each week, with my own commentary surrounding it on Facebook, Twitter, this blog, and a weekly compilation of my top 10 reads (if you’d like to be added to the distribution list, please email me). It’s not just a passion, it’s my job. I’m paid to help keep Intel breaking new ground and leading in the digital space. With that said, you would imagine that I shy away from ‘tangible’ content like newspapers and magazines. Not the case at all. 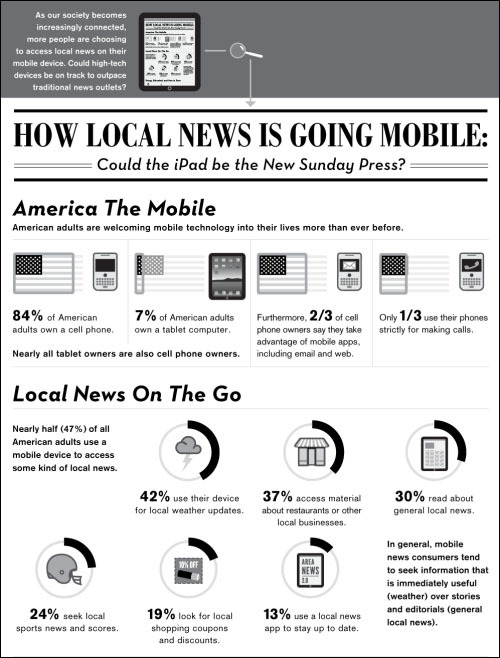 I think this article in GigaOm “Will iPad & Tablets Be Our Sunday Paper?” is accurate to a certain extent, but I hesitate to insist that print is dead. For me, yes, I am a voracious consumer of content via a plethora of digital devices. Come the weekend, however I spend a lot of time combing through the stacks of magazines that come to my house each week. I love the ability to turn a page, and feel the quality of the paper on my finger tips as I leaf through the contents of the book. I also appreciate the increasingly clever advertising executions the print world is rolling out. There is an argument for the ability to cram 5000 books, all your music, reams of digital subscriptions along with your streaming movies and addicting games into one portable device (ahem, hello iPad!) – especially when you’re traveling multiple times a month. I get it. However, I’m also a fan of a lazy Sunday on the couch, holding a hot cup of coffee, and getting lost in fantasy as I digest the travel section of my favorite Sunday paper. Print is not dead….long live print.